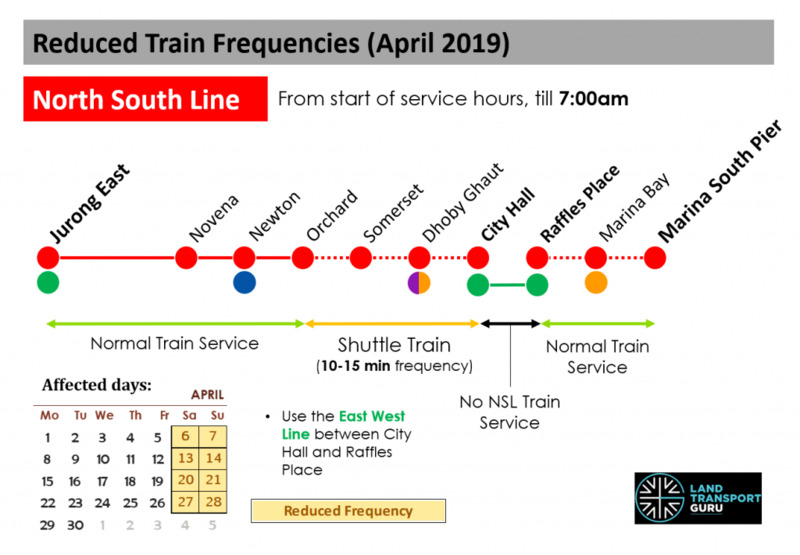 Longer Train Service Intervals along the North South Line (NSL) between Orchard and City Hall will take place on Saturday & Sunday mornings in April 2019 to facilitate additional engineering hours for power supply system renewal and maintenance works. 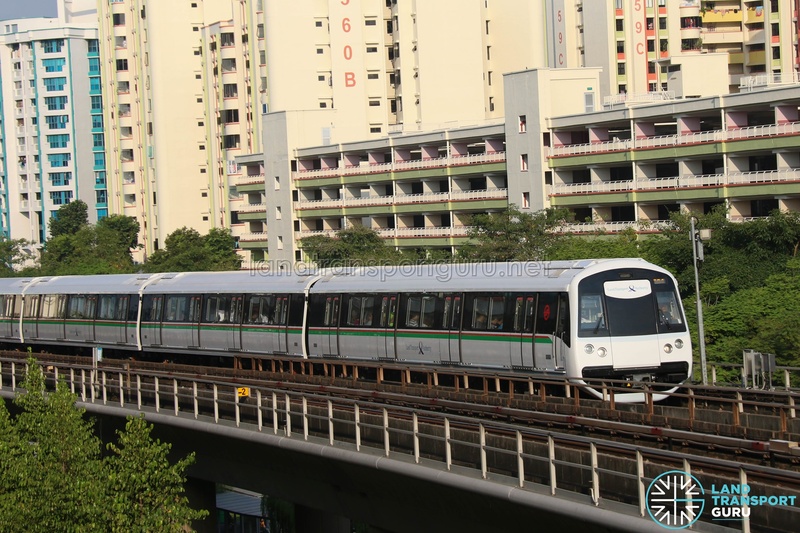 As a result, train services on the North South Line between NS22 Orchard and NS25EW13 City Hall will operate at longer intervals of 10 to 15 minutes. In addition, North South Line train service between NS25EW13 City Hall and NS26EW14 Raffles Place will be unavailable during the affected period. 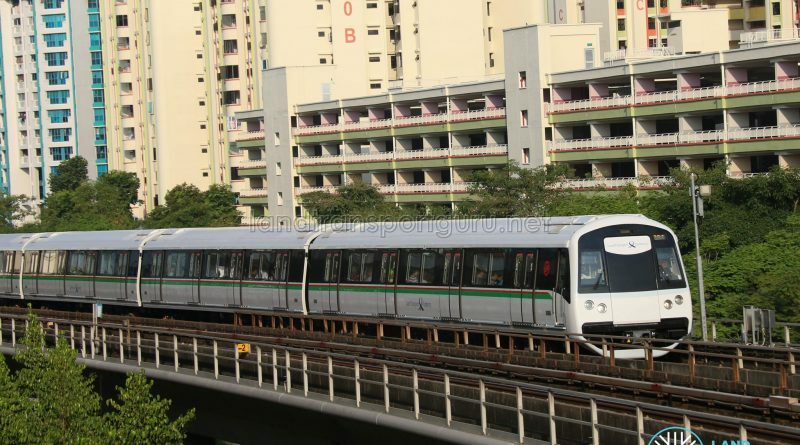 Train services remain unaffected along the remaining sections of the NSL (Jurong East — Orchard & Raffles Place — Marina South Pier). Affected commuters travelling between City Hall & Raffles Place may use the East West Line which remain unaffected. normal train service will resume at around 7:00 am on the affected stretch.